Aventis Systems offers academic pricing to schools, universities and education institutions for the Microsoft Windows 8.1 operating system. Keep your school’s desktops, laptops, or tablets running smooth and up-to-date with the Microsoft Windows OS. Windows 8.1 delivers industry leading efficiency and stability to your PC or tablet in a familiar platform. 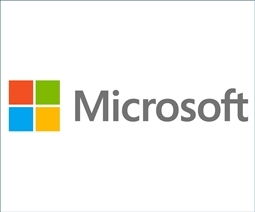 We sell Microsoft Windows Academic Licenses in quantities of 5 to meet the minimum order requirements of Microsoft’s Academic Volume Licensing program. If your organization has already satisfied Microsoft’s Academic Volume Licensing program's minimum order requirements, please call 1.855.AVENTIS or email Sales@AventisSystems.com for custom quantity quote requests. Please note that upgrade licenses must have a full underlying license for a qualifying operating system for each PC. Aventis Systems carries the Academic Microsoft Windows upgrade license below to best suit your personal computing needs. For a complete personal computing solution, please browse our Microsoft Office Academic options.